I’ve mentioned in recent posts that I have been busy cleaning up dust and clutter around my house. Last week my husband cleaned up some dust too, though he hadn’t planned on it. Our air conditioner had gotten very noisy and seemed like it was running much longer than it should have been, so he took it apart to see what the problem might be. He is very handy, but had never worked on the air conditioner before, so was not quite sure what to expect. He thought maybe something had rattled loose inside. 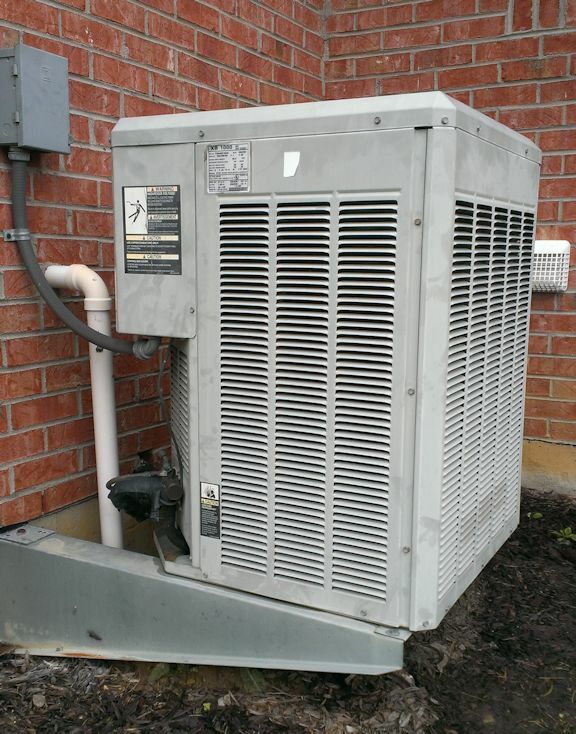 As it turned out, the problem was that the condenser had gotten clogged with dust and lint. The small white plastic screen on the wall in the background of this photo is the cover for the dryer vent. It’s too close to the air conditioner, which we hadn’t thought about before, and lint from the dryer had been getting sucked into the condenser. Over the years, enough of it had accumulated to be a problem. So, when my husband saw that, he figured he’d just vacuum it off with his ShopVac. But it was caked on so tightly that it didn’t budge, so he ended up having to hose it off. The cleanup took a lot longer than the quick repair he’d had in mind; but the air conditioner is doing much better now—it’s running less often, which should save us money on the power bill. And it’s quiet, hooray! When old appliances get noisy, people tend to get used to it and not think much about it; but the house feels so much more comfortable without the noise! It’s a useful reminder that if we’re to nurture ourselves properly, we need to pay attention to the little things around us and make sure they’re in good order. Yes, I’m very glad he is handy — that saves both cost and nuisance! It shows we all need some TLC — even those items we depend on to make our lives more comfortable. I always feel accomplished when such projects are taken care of — and often they tend to be the ones I wasn’t expecting to do — but I went with the flow and it turned out to be quite important. Thank you for sharing and linking to Nurturing Thursday. Have a great weekend. Thanks Becca — I hope you’re enjoying your weekend too! Pingback: Nurturing Thurs – Our Mud | "On Dragonfly Wings with Buttercup Tea"